The wonderful aspect of minimalist furniture is that regardless of how you layer them or your decorative style they work well anywhere they are placed. This is mainly due to their versatility. The versatility of minimalist furniture makes them transcend trends time and time again. Here are 10 of our favorite minimalist furniture pieces that will always be on trend. Incorporate organic chairs that match your table for a matchy-matchy decor that looks chic and modern. This will beautifully in a neutral space that offers little to no color contrast for a bolder feel. The idea is to keep the decor as simple and fluent as possible for a seamless feel. 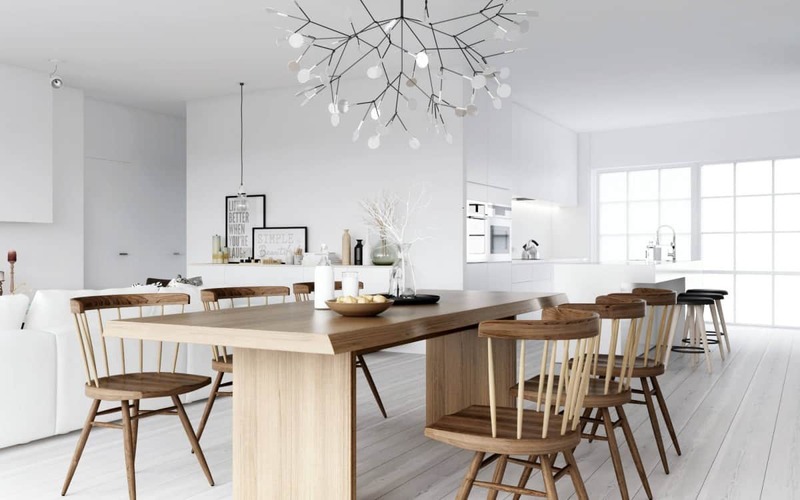 The beauty of having an organic dining table besides the fact that it is simple and easy to style is that the natural feel will give the room a rich feel in a subtle manner. The key to this furniture item is to keep the look simple by not incorporating much on top of the table. You want the organic feel of the table to make the bold effect you need it to make. 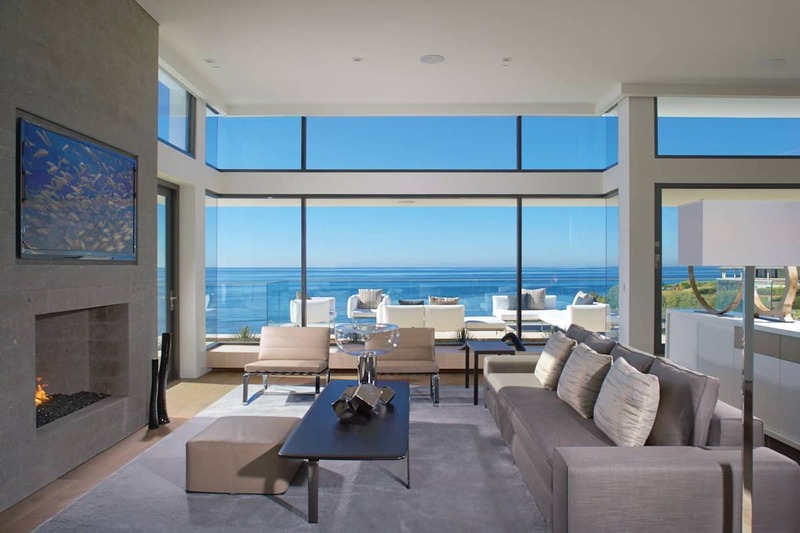 Sleek does not mean your living room needs to be decorated in any specific manner. It simply means your sofas work well with your decor in a simple yet trendy manner. Add cushions that add a personal flair to your living room space. Doing so will add color, texture, and personality in a minimal manner. Although, we personally love a bold and in your face sofa a classic sleek sofa will never go out of style. There is something traditional and beautiful about a sofa that works well in the space without being eye-catching instead it just flows with your current décor. 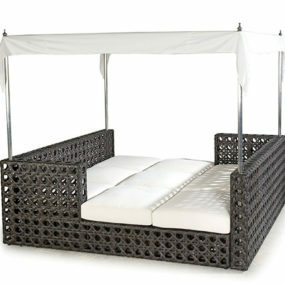 Sunbeds are the perfect furniture to have in your outdoor space as they provide the perfect relaxing feature. However, not only that but they work well in any outdoor space. Their minimal appearance ties together the entire outdoor regardless of how you decorate your outdoor space. Enjoy your outdoor space in a sleek and minimalist manner by having sturdy sunbeds that will allow you to enjoy your outdoor space without taking up much room or taking away from the beauty of your outdoor space. If you have a pool let that be the main focus of your outdoor space. 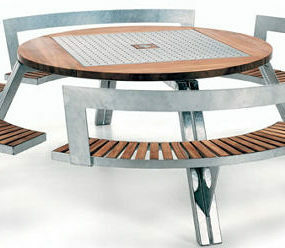 The minimalist furniture works well to maintain the harmony and natural feel of your outdoor space. Take your kitchen island up a notch by adding a kitchen sink. Adding a kitchen sink to your island will allow you a second space to prepare food on without having to go back and forth to your sink. Instead, you have a space you can do both in one simple space. 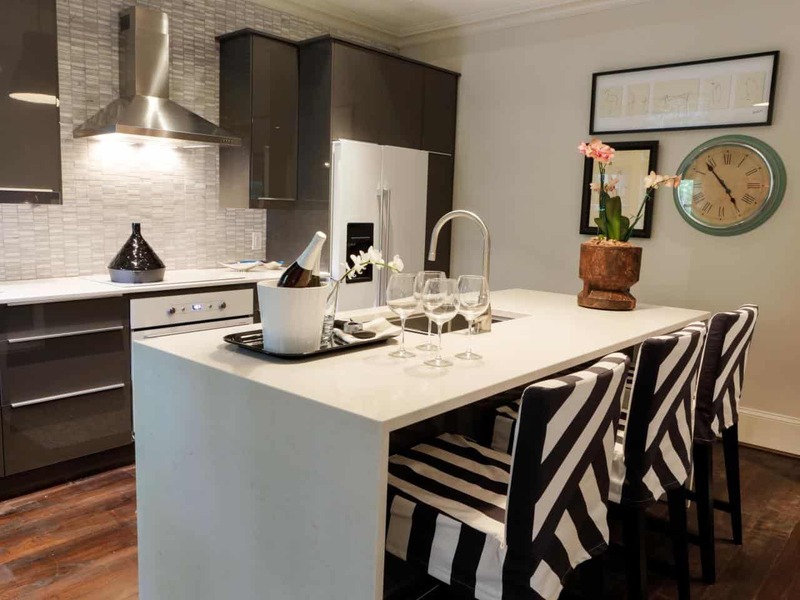 A white kitchen island gives you a modern appeal that is also sleek. 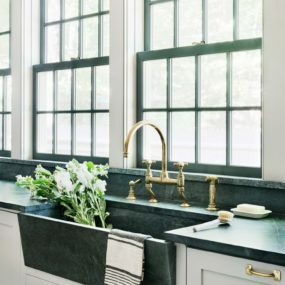 The kitchen happens to be one of the most well-loved areas of a home. Keeping that in mind consider having a simple yet versatile kitchen island. A kitchen island is extremely versatile. It can be used as a breakfast area, extra space for eating, or even as a kitchen accessory. 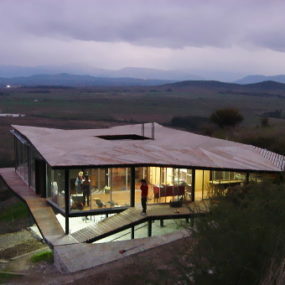 The idea is to have a sleek item that can be used often or whenever necessary. An intricate coffee table is perfect if you want to update your living room with a small gesture that is also bold and will showcase your personality all at once. The idea is to have a furniture item that represents who you are in an intricate manner. A carved coffee table could be just what you need. A staple piece that will never go out of style is a classic coffee table. However, if you want to give your living room a minimal upgrade in the most organic manner change your coffee table to an intricate design that showcases your personality. Showcasing your personality will give the room an upgrade that is simple, trendy, and easy to achieve. Consider having a coffee table in an intricate shape, color, and/or design. A simple lamp can make all the difference in a room even if you have other lighting options. The lamp feature will become a main focus in the room so much so you will immediately notice a huge difference in the way the room is represented. The room itself will look and feel larger. Just because the lamp is considered simple does not mean it will not make a huge impact in your home. A simple minimalistic lamp will keep the space well-lit while not taking up much space. If you already have a chandelier having a simple lamp will simply add to your décor without taking away from your current chandelier. 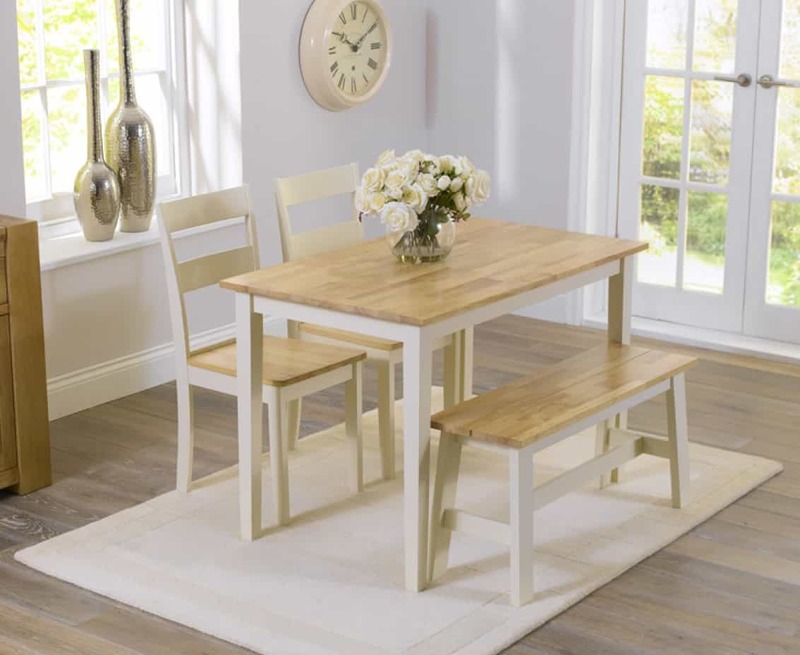 Needless to say regardless of the size of your dining table you can have a bench added to the table to give you extra seating. The idea is to have the bench become the main area of sitting once you have it become part of your dining room area. Keep the bench a neutral color for a minimalistic look that is appealing and trendy. Having a square bench is also a very versatile, yet minimalist furniture item. You can a square bench as part of your living room décor, extra seating at your dining table, and/or both. The idea is to have a piece of furniture that allows you to use it for multiple different things without having to change your entire décor to incorporate it. Royal blue is a beautiful color to incorporate into any bedroom because of how rich and classic it is. A great way to do this is to have a royal blue velvet bedframe this will create the rich and elegant appeal you may seek. 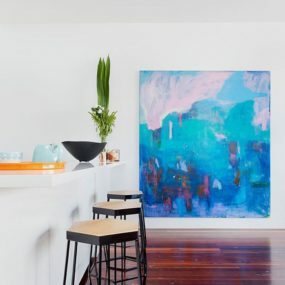 It is also a minimalist way of incorporating color into a room. Velvet has always been a classic decorative item. 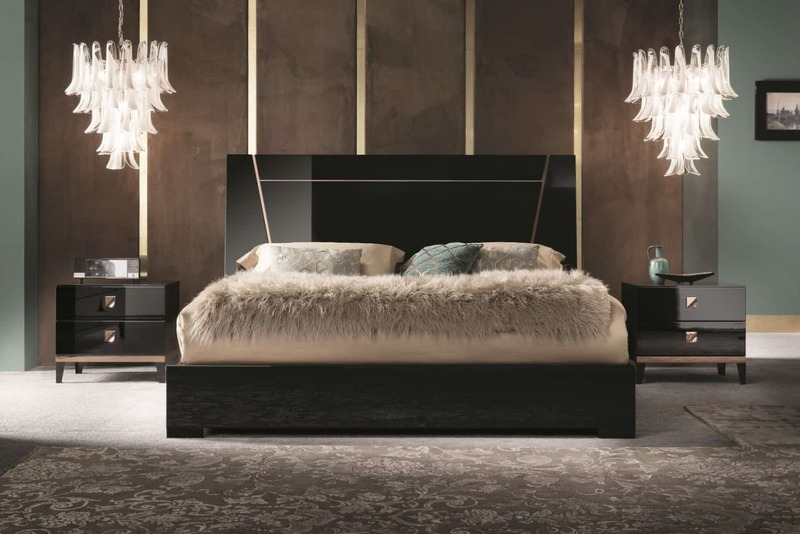 In fact, this year it has risen to the tops of the charts when it comes to “trends we should incorporate into our homes.” Having a velvet bedframe is not only a classic twist on a trend, but it adds a flair that is difficult to recreate without having a hint of velvet in the room. You want your velvet bedframe in a jewel tone such as rich green, garnet, and/or royal blue. These colors work great together and as statement colors. Mirror finished nightstands are great as they add color, texture, and personality into the room with just one simple decorative furniture. Match them to your bed for a classic, trendy, cohesive look that works well with numerous different colors and patterns. Nightstands have always been a staple when it comes to room décor. 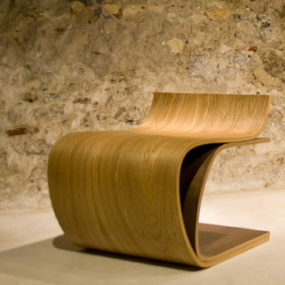 Therefore, we had to incorporate them into our favorite minimalistic furniture list. Consider having two identical nightstands for a traditional look. If you want to take it a step further purchase two-night stands that are similar yet different to create a trendy appeal that is perfect for any bedroom with any décor. Minimalist barstools do not need to be simple. They can have a trendy feel by having an intricate touch to them. These bar stools are intricate because of the way they were designed. Their uniqueness creates a visual appeal that is eye-catching all at once. Pair them with unique lamps for a fun contrast. Bar stools are great as they are also versatile and a simple item that can be used as part of any area of the home. 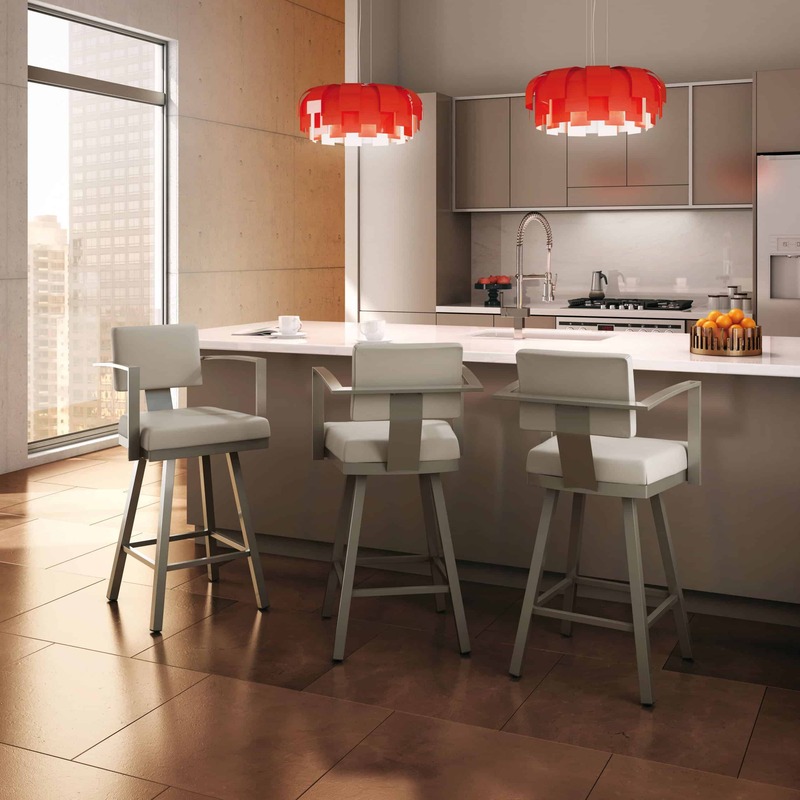 We prefer the appearance of having your bar stools be a part of your kitchen area. The reason being they can provide extra seating area if you have a kitchen island. Another way you can use bar stools is incorporating them into your coffee table space. In conclusion, these minimalist furniture items will enhance your current décor. Please let us know which of these is your favorite? As well as which of these will you be incorporating into your home?